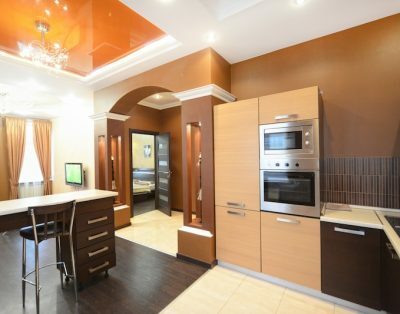 Renovated Apartment…on the Corner to Basseyanya and Mandarin Plaza – Modern Colors of this daily apartment will make you feel at home but not homesick. A comfortable two-room (one-bedroom) apartment well suited for a small family or group visiting Kiev. This apartment offers guests high standards in an excellent location at a reasonable nightly rate. The apartment is situated on 5th floor serviced by an elevator. The apartment faces street and has noise prove windows.The bedroom has a king sized bed, the living area also has fold-out sofa. The living room features the sofa bed, a dining table with chairs and an armchair.Apartment is perfect for a family or small group of 1 to 4 persons. 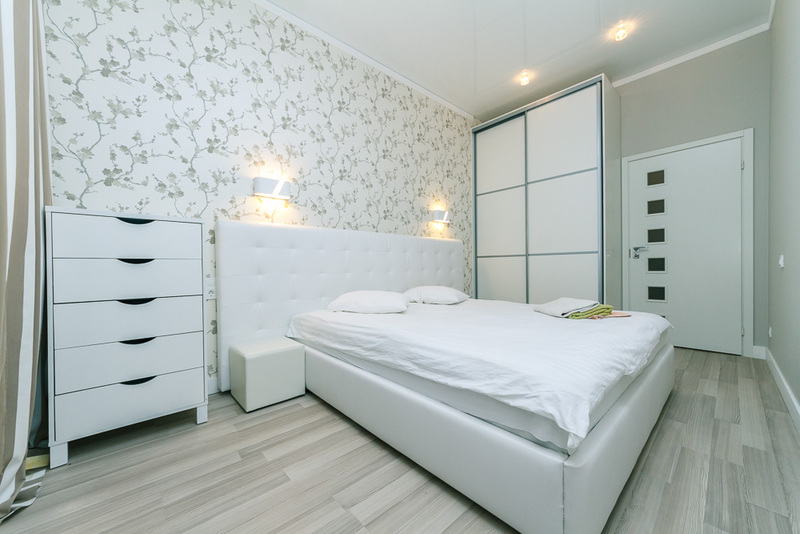 This quiet apartment is well appointed and functional, with good quality and newer furnishings to ensure a pleasant stay in a comfortable, quality environment in the very center of historic Kiev. 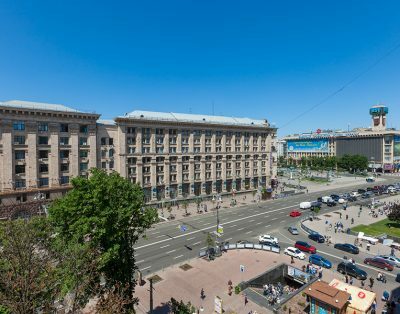 Close to metro stations: Palace of Sports, Bessarabka market, Mandarin Plaza.Recommended by Kiev Office Staff and by Clients. Great Kiev Apartments place that will surplice you by it is great renovation, modern style and all nice little features that are making your stay easy and worry free. Kiev Apartments place is safe, warm and cozy. When you think of a place to be not right int eh noisy street – this place for you. Center but still very quite and relaxing spot of Kiev. Right next to few gyms and sport complexes, to convince store and many restaurants you can enjoy at any time of the day. Ask Kiev Apartments where to eat or where to have fun and we will respond right away with our suggestions that we tested many many times before advising. Please check with Kiev Apartments about our airport transfer services and our english speaking drivers we have on staff.